We had no choice. The old wordpress theme wasn’t PHP 7.1 compatible, so it had to go. It wasn’t easy finding something suitable. 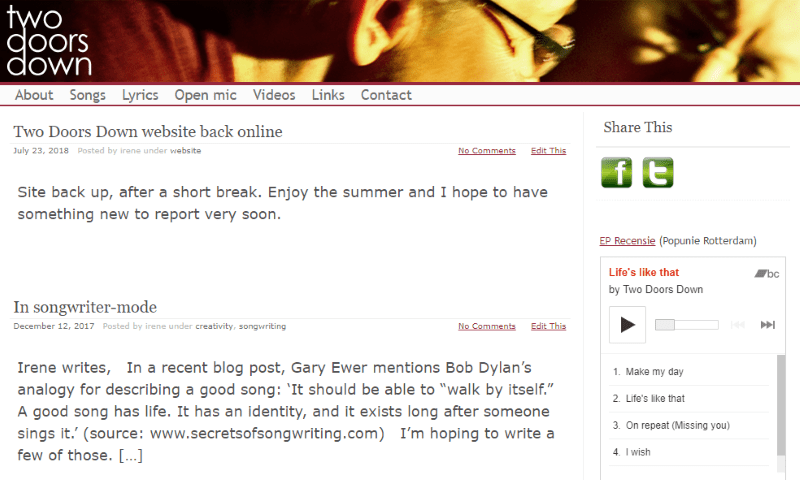 Margriet and I auditioned a whole series of wordpress themes this afternoon and settled on this one, called “Great!”. I hope you like it.